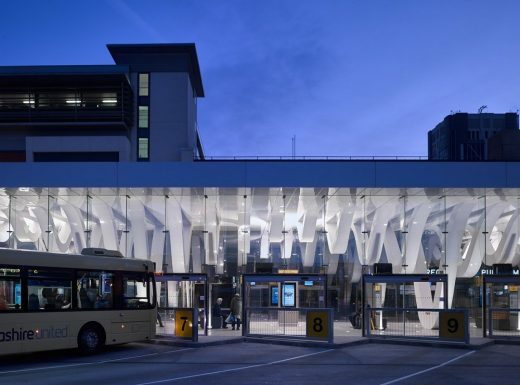 The Blackburn Bus Station was designed by Capita working on behalf of Blackburn with Darwen Council. 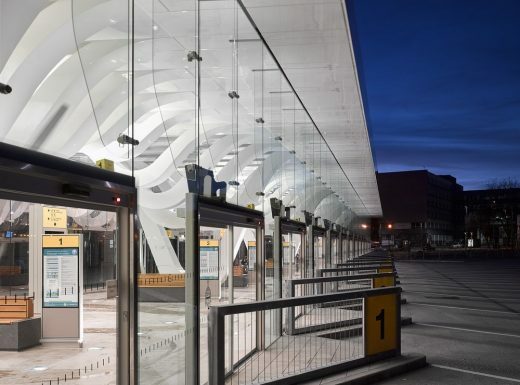 Completed in April 2016, the station forms part of the Pennine Reach rapid bus transport scheme which aims to improve public transport connectivity within East Lancashire, reduce journey times, and improve passenger facilities. 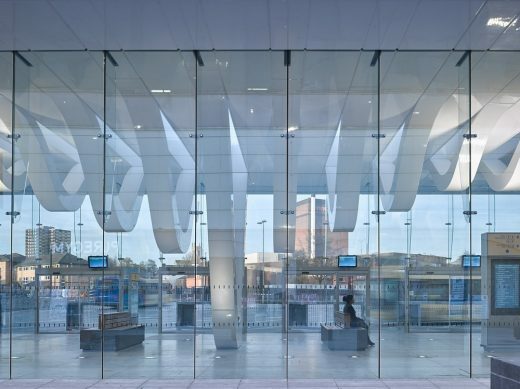 The annual RIBA North West awards celebrate architecture in the North West. 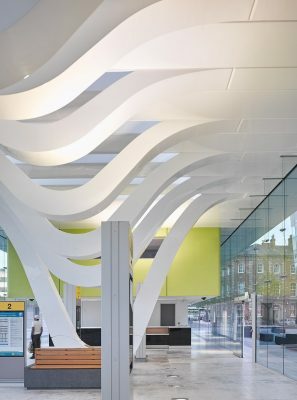 The shortlisted projects will be visited by RIBA judges over the coming weeks with the winners receiving their awards at a ceremony in May. 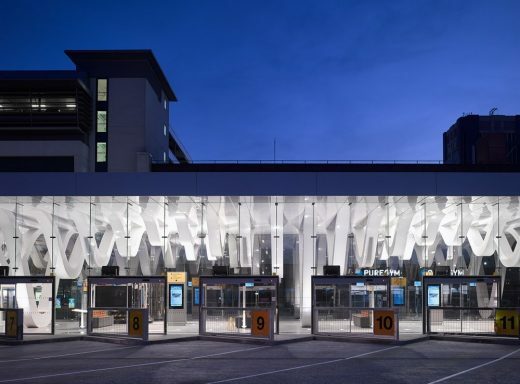 Councillor Phil Riley, Blackburn with Darwen Borough Council’s Executive Member for Regeneration, said: “The eye-catching design of our innovative bus station reflects everything about the changing face of Blackburn. 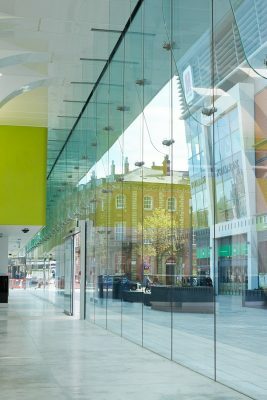 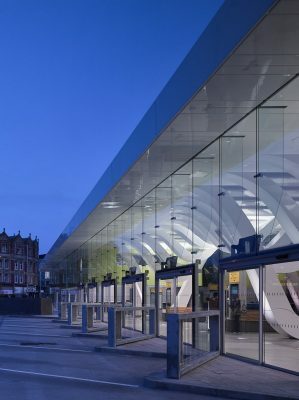 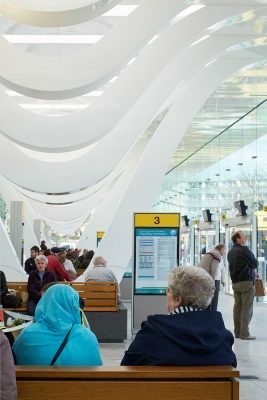 “We were keen to re-think the look and feel of the tired and dated functional bus shelters which stood at the heart of our main gateway into town. 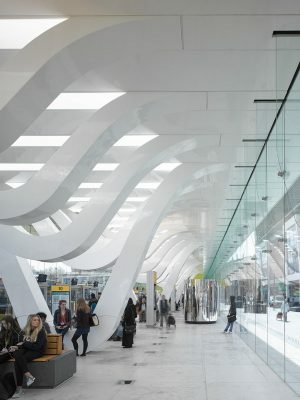 The RIBA North West jury chair said: “There are some wonderfully talented designers working in the North West and 12 very different projects have been shortlisted for the 2017 RIBA North West Awards. 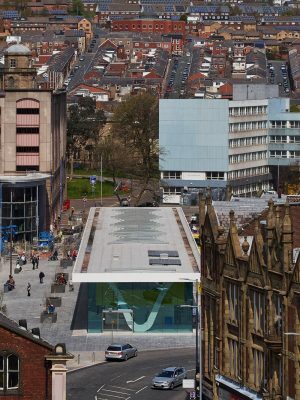 Designed by Capita Symonds – on behalf of Blackburn with Darwen Borough Council – the new station will be situated in the heart of the town centre on the site of the former market, adjacent to the town’s shopping centre and a new market development. 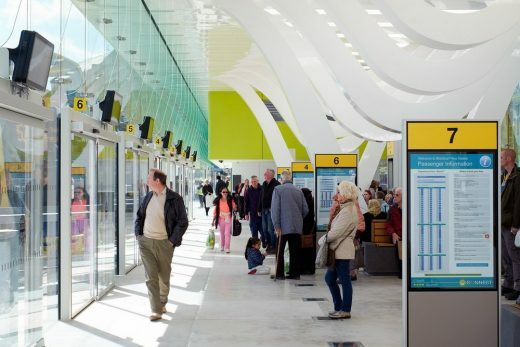 The relocation of Blackburn bus station to the new site will increase footfall outside the shopping centre and the new market, while maintaining a direct link with the rail station and the nearby cathedral quarter development. 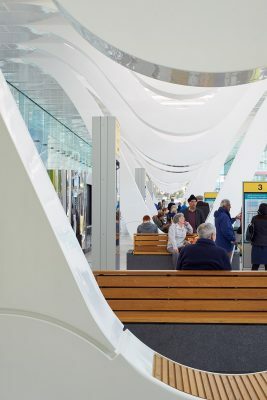 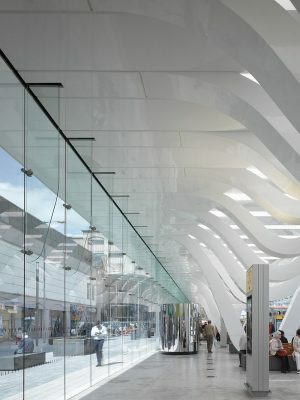 The brief for the bus station has been developed in conjunction with the future operators / managers of the facility who expressed a desire for a striking yet functional design that provides a safe and secure environment connected directly to the pedestrian realm. 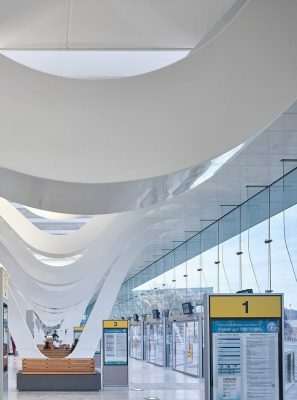 The facility will contain 14 bus stands plus an additional three layover spaces, space for public functions and community events, a café and retail kiosk and a focal hub building.